This is the rare #3 Deluxe figure of the series. 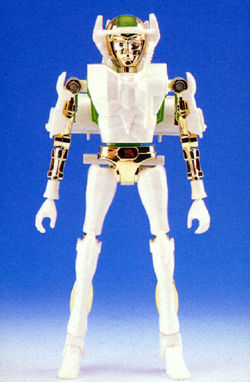 It is a transparent green figure with white body armor and some type of backpack. The armor is different from the versions seen worn by the first two Timanic figures. I am searching for this one for my own collection if anyone has one to trade or sell.